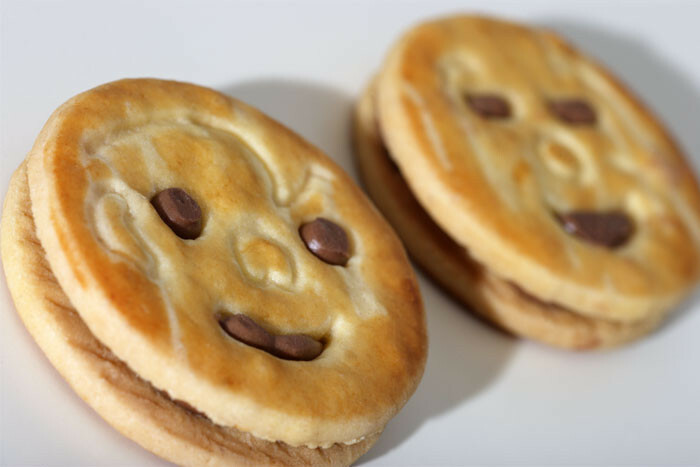 A business unit from Haas Group called Haas Meincke is focusing in the biscuit technology. Business unit Haas Meincke is the center of competence for Haas Group for biscuit and cake production. 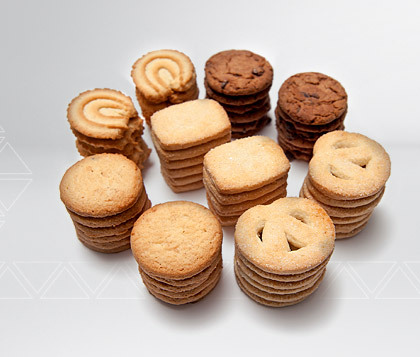 We have more than 100 years of experience in the cake and biscuit production. Haas Meincke is originated from Hecrona of Germany, DFE Meincke of Denmark and Vuurslag of Holland. 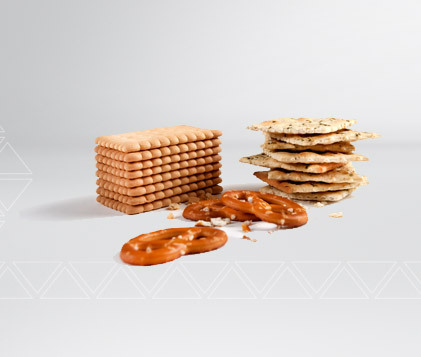 We are by far is the only company in the world who can bring you a turnkey project for all kinds of biscuit range at the moment from 1 company, whether it is hard dough, soft dough, cakes, and cookies. It is capacity, flexibility, reliability, efficiency and hygiene are the decisive factors for the industrial production of biscuits. Tioniaga wants to give you a general overview about our machinery program for the production of all kinds of short dough and hard dough biscuits. We have also an impressive facility in Europe and Asia for testing and Research and Development of any kind of biscuit ideas. So, we are not just only selling machine, we sell TOTAL SOLUTION! We offer you consulting and support for all matters concerning dough mixing, dough feeding, dough processing as well as baking and secondary processing. The categories of hard dough and cracker products offer a lot of possibilities regarding flavoring and shaping. If angular or round, spiced, sweetened or put into a lye bath, large crackers or small cocktail snacks – we design the most suitable plant for your product. Hard dough biscuits are produced on lines, which consist of a sheeter and gauge rollers. After producing an endless dough sheet, the desired dough blanks are cut out by a single roller or double roller system. The resulting network of scrap dough is fed back to the sheeter. The blanks are baked in a hybrid oven (directly heated infeed combined with radiation, which can be provided with or without convection) on a wire mesh band. 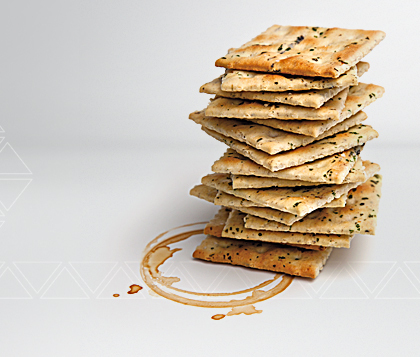 Crackers are produced on lines, which consist of a sheeter and gauge rollers. After producing an endless dough sheet, the desired dough blanks are cut out by a single roller or double roller system. The resulting network of scrap dough is fed back to the sheeter. Additionally, a cut-sheet laminator may be employed. For the production of cream crackers, there is also a device necessary, which applies a mixture of fat and flour between the individual dough layers. As these products require a high amount of energy, a directly heated oven with additional band pre-heating and a heavy wire mesh band or a hybrid oven consisting of a directly heated infeed zone up to half of the oven length and a multivariant oven with convection are usually adopted for baking. The best known type of soft dough biscuits are the molded biscuits. Compared to hard dough biscuits and crackers, the recipes for molded biscuits contain more fat and less water. Molded biscuits are produced by means of molding rollers. The product range can be widened as desired by adding so-called decoration devices. This product group is also popular for the production of sandwich biscuits. Soft dough biscuits are baked in both hybrid ovens and radiation or convection ovens. Depending on the selected recipe, wire mesh bands or – for softer doughs – steel bands can be employed. 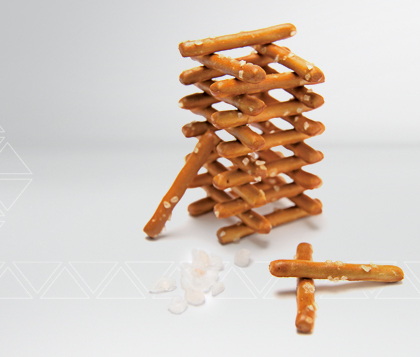 Dough ropes are produced by the roller-type extruder STIXOMAT or the screw-type extruder SX. Then, the ropes run through a lye bath and are sprinkled with salt. A guillotine device cuts the ropes to the desired product length. The dough blanks produced by a molding machine run through a lye bath and are sprinkled with salt. After producing an endless dough sheet, the desired dough blanks are cut out by a single roller or double roller system. The resulting network of scrap dough is fed back to the sheeter. Next, the dough blanks run through a lye bath and are sprinkled with salt. These products are baked on a wire mesh band in indirectly or directly heated ovens which may also be combined.